We can look at web hosting in many ways. I like to look at it as an investment and I encourage you to do the same. Imagine buying a car – although we buy used cars, we want to buy the best car possible for our needs, because we rely on it. Buying a car is a serious investment, web hosting on the other hand is usually in the range of lunch money yet so many people still want to save on it, while their business relies on it so much. 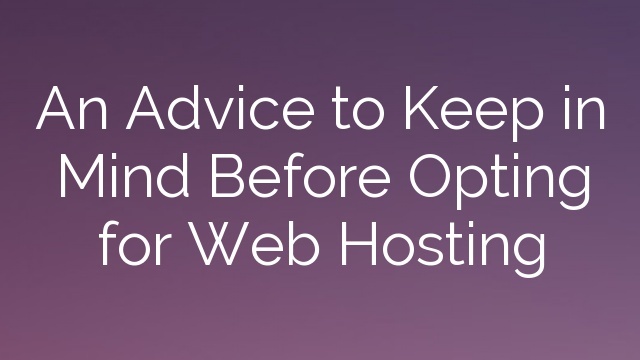 At Hosting Hub I like to preach that web hosting should be treated as an investment because we’re not investing into web hosting with it but we’re investing in our business, and this is the key point. If we can look at it from the point of view of our business and not an additional liability, we’re willing to spend a little more on it and enjoy the benefits that this will bring. Because in web hosting, it’s not the same as it is with our utility suppliers. We get the same electricity if we choose a different supplier, even though prices might be different. In that case we usually go for the better offer i.e. the cheaper one (unless we want green supply). In web hosting our baseline is not the price. We certainly shouldn’t overlook price, but it definitely shouldn’t be the factor with the highest priority, as we usually get what we pay for. In the first and last point basically everything is included – speed, reliability, uptime, support etc. If we want extraordinary results, we have to do extraordinary things. This seems to explain the simplest way to success in all areas of life. In this case that would mean reading web hosting reviews like this one on A2hosting, which is really detailed and up to date. Take your focus off the price and focus on the value as it is mentioned in the above article for example, but there is ton of great advice online nowadays, so make sure you get your information from several sources. Good luck with your online endeavours!